While working with SharePoint 2013 & Multiple Devices, we may choose one of the following options. Device Channels for optimizing view & size of the page rendered. This happens in the server-side. Responsive Design for optimizing view from the client-side. Coupled with Device Channels, we can use Mobile Panels. Mobile Panel is basically a server-side tag which allows entering HTML snippet in between the open & close tags. Each Mobile Panel will be having an attribute to target the Device Channel using the Name. We can use Mobile Panels to render a particular page element optimized for a device channel. Mobile Panels thus require Device Channels to be configured as pre-requisite. Please note that we need to create multiple sections for each Device Channels mentioned in Mobile Panels. You can use ASPX pages to render the Mobile Panel tags. In this post we have explored Mobile Panel option to work with Device Channels. In this article we can explore a real world problem. You have 2 lists of few common columns & few unique columns. How to use content type in this scenario? Following would be the simplest solution in this case. Now create a new list named Tax. Attach the content type to the list. Add a new item with values for Title & PAN Number. You can see the item displayed below. Now go to the List Settings > Add a new column named Age. Now use the edit form to modify the previous item. You can see the Age column appears here. You can go to the List View settings to show the Age column in view mode too. Now you can create the second list, add the content type, create another column. Here the same content type is reused for common columns & the custom columns are managed at list level. Using content type for common scenario would save lot of time managing column modifications, behavior etc. In this article we have explored a real world scenario of content types. In this article we can explore a typical real-world scenario. You have a SharePoint list. You have a custom new/edit/delete form for it. The custom form will allow controlled editing of the item, plus some validations. It means User A cannot edit User B’s item. Exceptions are Approvers group. I am recommending various solutions for this scenario. One easy solution is using the List > Advanced Settings > Item-Level Permissions. But, this solution won’t work if you need Approvers group to edit the items. Open the list in SharePoint Designer > Locate the EditForm.aspx > Choose Delete option. Please note that we cannot change the permission of the user as there are other permission-sensitive forms to work on. This is the reason we are locking OOB Edit Forms. In this article we have explored a real-world scenario of locking OOB Edit Forms. In this product-review, I am going to take you through the functioning of the LepideMigrator for Documents (LMD). Software has been designed to migrate content from Windows File Server, Exchange and Office 365 Public Folders to SharePoint on premise and online versions. In today’s context when SharePoint has become a popular internet and collaboration platform and most of the organizations are trying to exploit its features such as collaboration, versioning, workflows etc. I will review LMD to validate its efficacy as SharePoint migrator software. Software installation is guided by quite familiar installation wizard – click on Next-Next and there you are! During installation you get the option of selecting installation drive, selecting Start menu folder for placing software icon, and creating desktop/quick launch icon. Below screenshot shows the welcome screen of software that opens up after installation. Buttons to launch wizard of all the major tasks are given at the top – Add New Site, Add New Source, Migration Analyzer, Migration to SharePoint, Migration using CSV and a few more. You won’t have to search these buttons to start the corresponding tasks. The upper left pane holds destination SharePoint Sites, the lower left pane holds the source Windows File Servers and Exchange Public Folders. The central pane shows the migration content and the right pane displays SharePoint objects. You can also first add the destination and then source to the application as migration can be done only after both source and destination have been added to software. In this review I am going to add a local Windows File System (MS Windows XP Professional SP3) as a source and will migrate content from it to on-premise SharePoint 2013. However, software allows adding remote File Servers as source as well and both on-premise and online version as destination. The following dialog box shows “Add New File System” dialog box. Just enter the computer name/IP and select the drives that you want to add. Click on Ok and the source drives can be seen in the source pane. You can add multiple computers and drives so no need of amassing data from entire network to one computer. Leave the source content where it is and fetch it directly from the application. The following screenshot shows the available criteria for migration analysis. Though you can specify your own values for different criteria, it comes loaded with the values that are acceptable to SharePoint. The following screenshot shows the analysis report. It clearly shows files or folder that will be uploaded, files and folders that need adjustments before uploading and the files and folders that simply could not be uploaded. The following image shows the dialog box to add destination SharePoint site. If you don’t remember the site address you can enumerate all available sites using “Find Site Collection…” button. Provide target SharePoint servers’ admin User Id and passwords. The following dialog box shows all the files and folders that will be migrated to the destination SharePoint server. You can view the Groups/Users permissions by clicking on that button. In the next page you can provide the destination site URL and select the List, Library or folder. The migration wizard you also gives the option to map the columns of the source and desitnation files. LepideMigrator for Documents automatically maps the attributes and you can also map the attributes as per your own wish. The following image shows user defined column mapping. The migration wizard also provides all possible content filter values and permission migration option between Users. You can also remap the Users between source and destination. You will be required to provide access credential in case content lies on a remote computer. Finally, you get the option to run the task immediately or schedule it for future run. This is how software interface looks like after migration. As you can see migrated content is seen in the Central AdministrationShared Documents path. After the migration is complete you can open the destination site and view the migrated content. 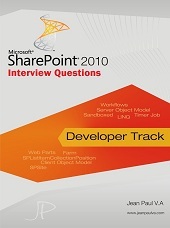 In the below image the migrated content is seen in the SharePoint environment. So as I see, LepideMigrator for Documents offers plenty of options and features to let you migrate the content safely and swiftly to the destination SharePoint server. Personally, I would rate the software on the higher side in the ease of migration and features. The migration was quite swift, as I didn’t have to wait for long as data was being copied from source to destination. Software also offers some other features that I did not cover in this review such as downloading SharePoint data to Windows system, migrating data with the help of CSV file, and simply copying data from a Windows folder to SharePoint folder. In this article we can explore how to delete an OOB Edit form from a list. You have a list. You will be populating the list programmatically. You wanted to prevent the user from using OOB edit form. How to achieve this? Open SharePoint Designer > Your list. Go to the Forms section as shown below. From the ribbon choose the Delete option. Save changes and now Open the list in browser. You should not be getting the Edit form now. Although the following error needs to be modified. You require Design permission to work with SharePoint Designer. You may also wish to delete the user control from the Edit form and provide a friendly message to the user. In future you can always restore the custom edit form using SharePoint Designer. In this article we have explored how to delete an OOB edit form. In this article we can explore a quick scenario where list items can be managed through created year. You have a list with 5000 item added every year. To align with 5000 Max Limit of List Items, we need to create a View. How to create a view based on a column? Please follow the steps given below. Create a list with column named Year. Fill some values as shown below. We will be working on the default Created column value. Now go to Ribbon > Create View. Choose the Standard View option. Scroll down to the Filter section and choose the column Year and set value to 2016. Now your view is ready. You can add certain items with value 2015 for Year. Now you can see our view only displays 2016 items. For working with OOB Created By column, you can use Functions to extract the year. In this article we have explored how to create a view by year. In this article we can explore a common scenario which can be solved using OOB feature of SharePoint 2013. Create an Expense list as shown below. Open List Settings > Advanced Settings & Choose the following options. This feature is not available for Document Libraries. In this article we have explored an OOB way to manage item level permissions. In this article we can explore List Validation Settings which is a less used feature in SharePoint. You can access this settings from List > List Settings > Validation Settings link. Now you can set a validation that Amount should not be greater than Budget. You can see this below. Additionally, we have set a user message too. Now let us try creating an invalid item. It will display error message as shown below. You can change the amount to save the item. In advanced scenarios we can come with AND, OR operators too. In this article we have explored List Validation Settings feature. In the future posts I will come with more complex validations.